A-1 Affordable Construction has been providing chimney, roofing, gutters, and masonry services for over 30 years. 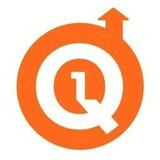 We plan on being here for many years to come to service our extensive customer base. We are an established family owned and operated company that prides itself on consistently delivering professional, affordable, and reliable services, so that you have the best possible customer experience possible. We take accountability for all of our work by providing written warranties while going above and beyond our customer's expectations, whether the project is large or small. You will be able to refer A-1 Affordable Construction to all of your friends and family with confidence, knowing that they are in good hands with us! 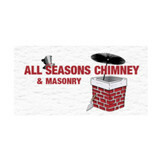 From our well trained and certified technicians to our knowledgeable and courteous office staff, we are well prepared to handle all of your chimney, roofing, gutter, and masonry needs while providing outstanding customer satisfaction. We ensure every job is completed within the municipalities codes and guidelines, making every job we do safe and efficient. While a toasty fireplace is a luxury, it also comes with the responsibility of keeping it clean. 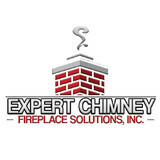 Any chimney sweep in Nutley, NJ can tell you that most homeowners neglect their chimneys, thus affecting the efficiency of the fireplace and risking potential disasters like a house fire. Don’t put you and your family at risk this year — find a local Nutley chimney cleaning service to inspect and repair yours so that you’ll be warm and cozy when the chilly weather comes to town. 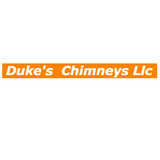 Why do I need to hire a chimney cleaner in Nutley, NJ? Fireplace cleaning always seems like a messy task, and that’s because it is. Creosote, better known as soot, forms when wood is not properly burned — unburned tar vapors stick in the flue, or walls, and are tricky to clean but can lead to chimney fires if not taken care of. In fact, about a quarter of all residential fires that occur in the United States are caused by creosote buildup. That fact alone should motivate you hire a Nutley chimney sweep as soon as possible! Other common problems that a fireplace and chimney inspection should catch are damaged or decaying mortar and joints, leaks that let in air or water, and even animal extraction. Chimney repair is an important part of keeping your entire Nutley home safe and sound, so keep yours in tiptop shape to reap its benefits safely. The Chimney Safety Institute of America actually certifies chimney sweeps, so you know if they are CSIA certified that they will do a good (and safe) job. It’s recommended that you get a full chimney inspection once a year at least, so don’t hesitate to call a chimney service in Nutley, NJ at any point during the year if you suspect something is not quite right. Find Nutley chimney cleaners on Houzz. Narrow your search in the Professionals section of the website to local chimney cleaning services in Nutley, NJ and read reviews and ratings to find one that fits your needs.